Like musicians, artists, and entrepreneurs, competitive athletes have big dreams. But unfortunately, many lack the necessary funding and sponsorships to help realize their audacious goals. That's where crowdfunding comes in. Entire sports teams and individual athletes are turning to the Internet and crowdfunding to raise the necessary funds to train, travel, and compete on a global and local stage. In fact, the Sochi 2014 Olympics put sports crowdfunding on the map. It was the first time in history that a significant number of athletes and even entire teams turned to crowdfunding to help fund their dreams. In return for backing sports endeavors, backers have the potential to receive a variety of rewards and the feeling that they've helped athletes along the path to success. If you have Olympic dreams and an empty wallet, one of these sites may be a good match for you. Before selecting a crowdfunding site, be sure to read each site's description carefully. As you'll see, some sites are geared to athletes and teams with an existing fan base and strong support. Others are intended to help individual athletes to train and travel. As with any crowdfunding project, it's important to start with a solid social network and to have specific rewards in mind for funders who support your winning efforts. Rallyme has become the official crowdfunding platform for many athletic organizations, including the US Ski Team, US Cycling, and US Bobsled teams. Sports organizations come to Rallyme to create rallies, crowdfunding campaigns intended to reach certain financial goals. In return for a donation to an individual athlete or team, boosters (what Rallyme calls donors) typically receive some type of reward: from a mention on Twitter to a full-fledged sponsorship. Pursuit is a volunteer-run, non-profit crowdfunding website for amateur athletes. Pursuit was founded by former Olympic kayaker, Julia Rivard, and former gymnast, Leah Skerry, in 2012 and is headquartered in Canada. Pursuit has raised hundreds of thousands of dollars for athletes around the globe. The site boasts that it sent 8 athletes from a variety of different sports to the 2014 Sochi Olympics. SportFunder was launched in 2012 by New Zealander Craig Williamson. Williamson thinks globally, and SportFunder's users and backers come from around the world. Another Canadian sports crowdfunding site, MakeaChamp was started in 2011 by two competitive judokas who needed to finance their athletic goals. MakeaChamp has a strong social media and messaging component to its service, enabling athletes to communicate directly with their supporters throughout the course of a sports crowdfunding campaign. Crowdfunding for Your Athletic Dreams? 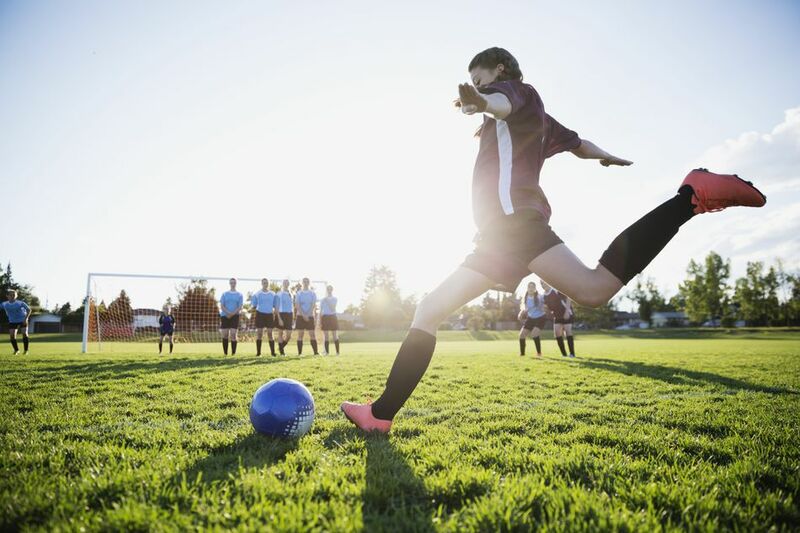 If you're serious about your athletics—and you are realistically likely to do well in your sport—crowdfunding may be a great way to get the funds you need to move forward. Be aware, however, that crowdfunding only works well when you have a social network to support you and meaningful rewards to offer backers.